Time: 5 - 7:30 p.m. This workshop is inspired by the recent California super bloom and the fragile Spring flowers that bring joy each year. 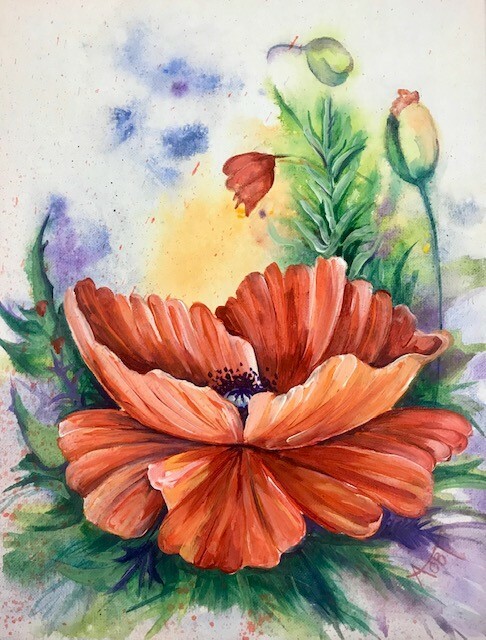 Paint exotic poppies and experiment with mixing the perfect shades of red, orange, gold, and green. Please bring an apron to protect clothing. Sign up at the Spillman to reserve your seat. Spaces limited. Note: $10.00 non-refundable deposit due upon reservation and $10.00 due on night of paint.